The twelve books of the Minor Prophets are anything but minor. Spanning 450 years, these writings offer a revealing look into the character, nature and heart of God. Based on six Minor Prophets—Hosea, Joel, Jonah, Nahum, Habakkuk, and Malachi—this study offers rich perspective on how God’s plans and purposes intersect in the lives of His people. This group will explore what it means to be gay & lesbian within the Body of Christ. The study aims to help individuals learn about the historic and cultural influences that affect the individual’s perceptions of being both a gay person and a Beloved Child of God. This small group will be a private and safe place for LGBT people of faith to share, learn and grow together toward the reconciliation of their faith and sexual identity. Senior Pastor Michael Williams leads a Bible Study that considers the biblical text that will be the basis of the upcoming Sunday’s sermon. 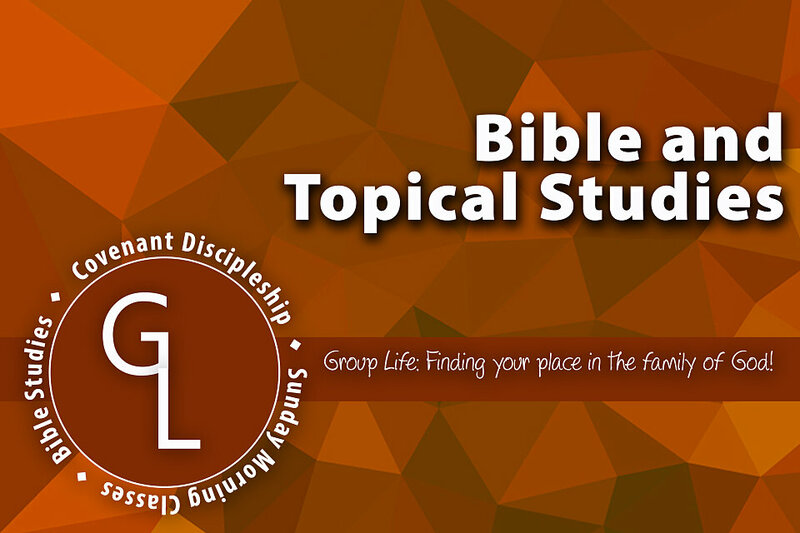 Disciple Bible Study is a program of intensive, disciplined Bible study. Groups meet weekly for 2.5 hours for 34 weeks. Disciple I, the prerequisite for all other Disciple Bible Studies, covers the entire Biblical story, from Genesis to Revelation. Subsequent studies take Disciple graduates deeper into selected portions of Scripture. We will offer Disciple I and another Disciple course. Covenant Bible Study is an in-depth group Bible Study that underscores the unique relationship that God chooses with us as God’s people through Covenant. The 24-week study covers the whole Bible by moving between the Old and New Testaments—discussing books from each in a way that shows the interconnectedness of scripture as a whole. For more details on any of these studies, please let us know below!